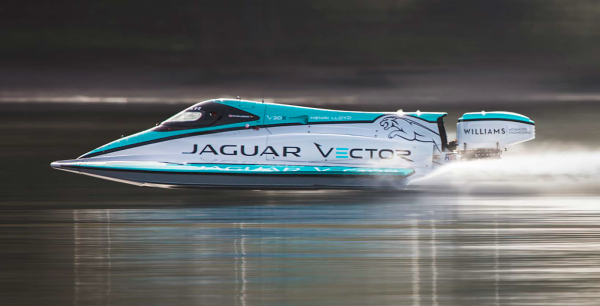 • New world and national records of 88.61mph set by Jaguar Vector Racing V20E. • Breaking previous electric best of 76.8mph set in 2008. Williams Advanced Engineering using Formula E technology. co-founder and technical director Peter Dredge piloted the V20E. and to showcase British engineering.